Practical Tool for Coffee Lovers Coffee Capsule Holder is specially designed to hold and dispense coffee pods (or other pods with 1.10 inch diameter) conveniently. It can hold totally 30 pieces of pods, you don't need to annoy the pods in mess any more. Ideal for storing pods neatly within your kitchen. Bright and sleek, ideal for decorative and indoor use, store the capsules neatly within your kitchen. Slim and Compact Look for Easy Storage Vertical design takes up minimal counter space, you can put it in the kitchen, living room, table or any corner of the room. 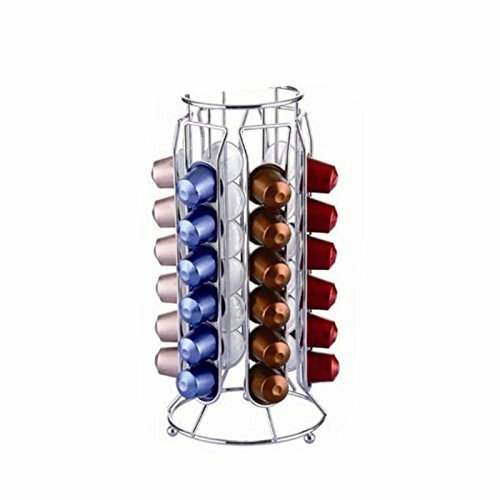 This amazing coffee rack holds up to 30 capsules. If you have any questions about this product by L'GOKS, contact us by completing and submitting the form below. If you are looking for a specif part number, please include it with your message.